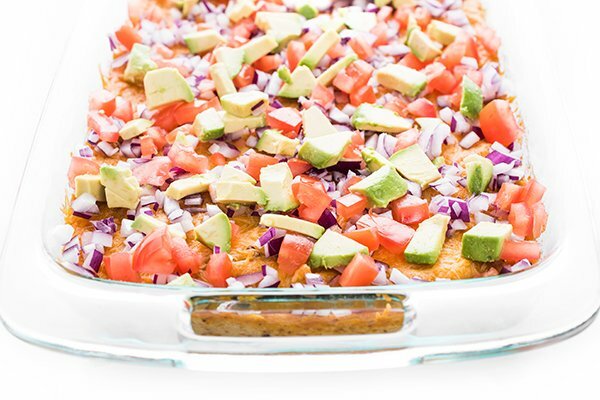 A twist on the popular buffalo cauliflower dip, my version is made with creamy hummus then baked with cheese before being sprinkled with all your favorite toppings. 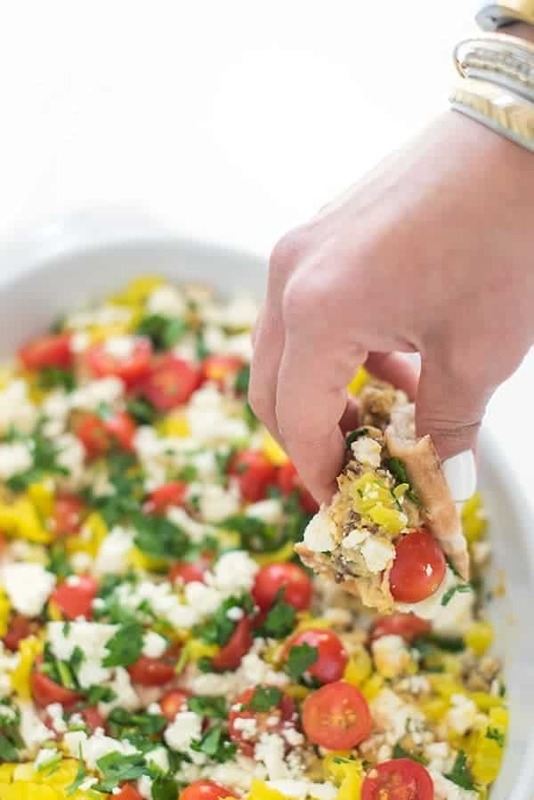 The perfect vegetarian appetizer for entertaining! 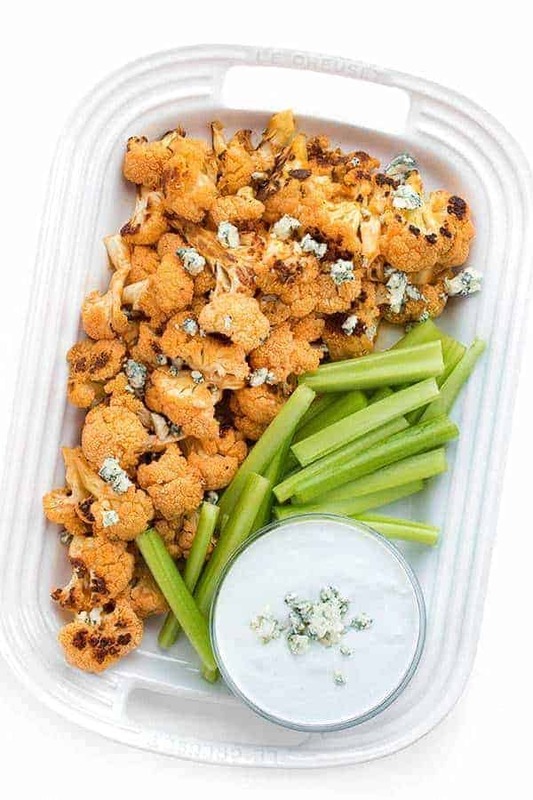 Recently I was invited to a girl’s night and my gal pal asked me to make a healthy version of the popular party appetizer: buffalo cauliflower dip. 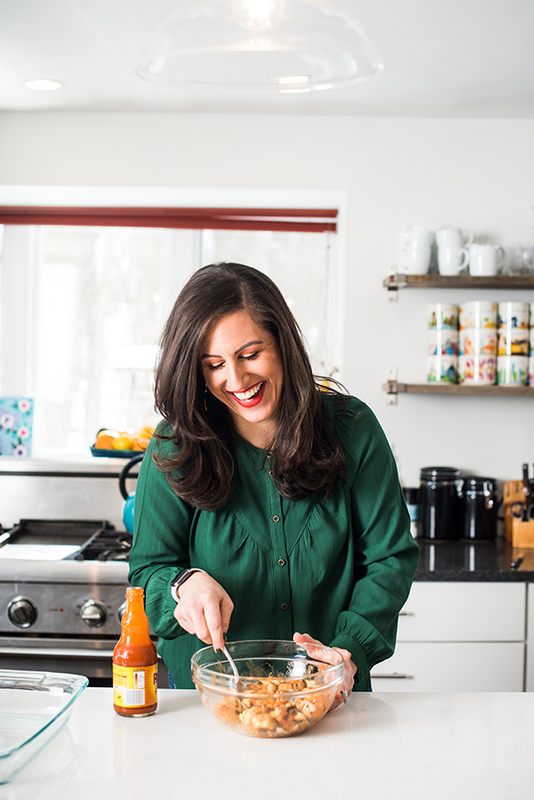 After doing a bit of research, I discovered that traditional baked buffalo cauliflower dips are all made with pretty processed ingredients including cream cheese and ranch dressing. 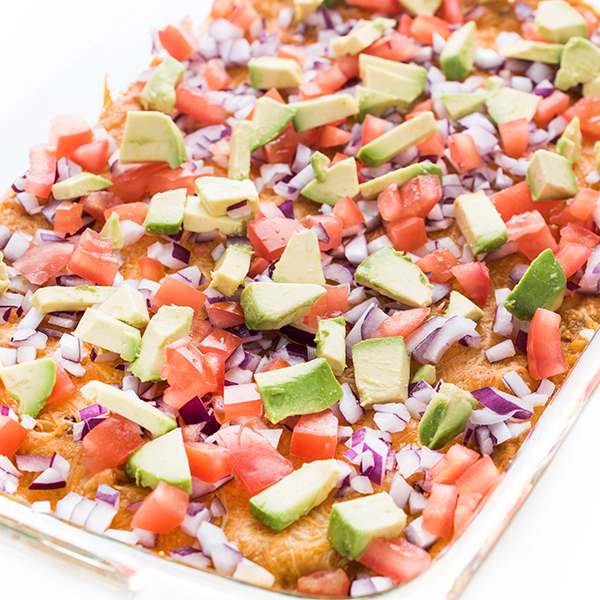 In an effort to put a healthy spin on the classic while also making it my own, I decided to recreate my popular Mexican Baked Hummus Dip into a vegetarian version with a spicy buffalo kick! The base is roasted cauliflower that is tossed with buffalo sauce. No need for butter – roasting the cauliflower results in a caramelized, slightly sweet veggie that doesn’t need any butter because it’s already full of flavor. Next, the roasted buffalo cauliflower is mixed with hummus before being spread into a baking sheet and topped with shredded cheese. You can use your favorite store-bought flavor or make homemade hummus. 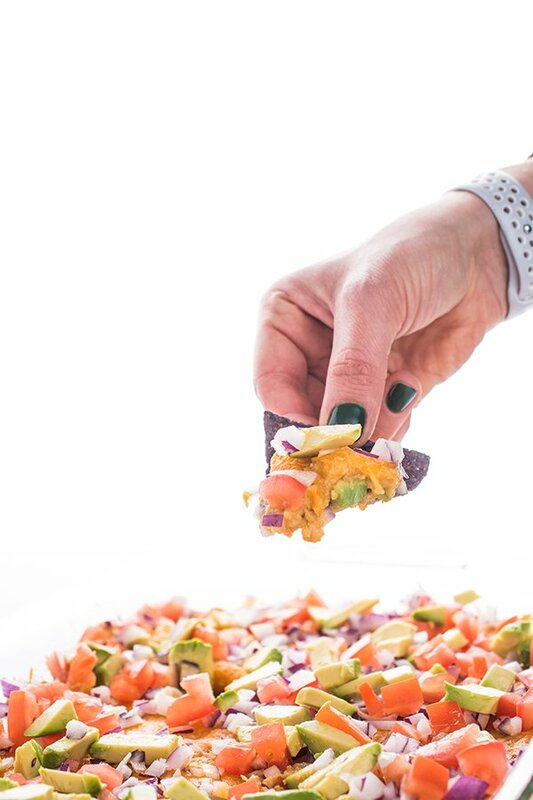 Before serving with tortilla chips I love to garnish with creamy avocado, roma tomatoes, onions, scallions, black olives or pickled jalapeños. 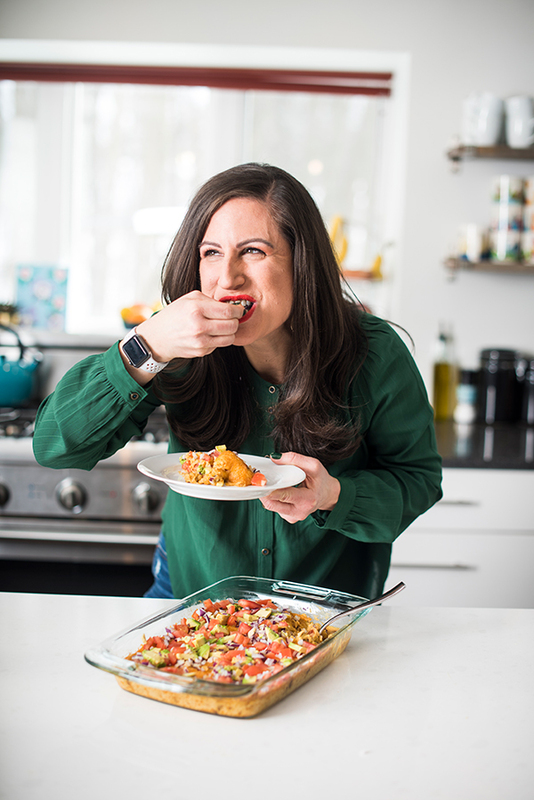 Truly – use whatever you love or have on hand! You can serve with chips or it’s delicious with thick celery pieces. 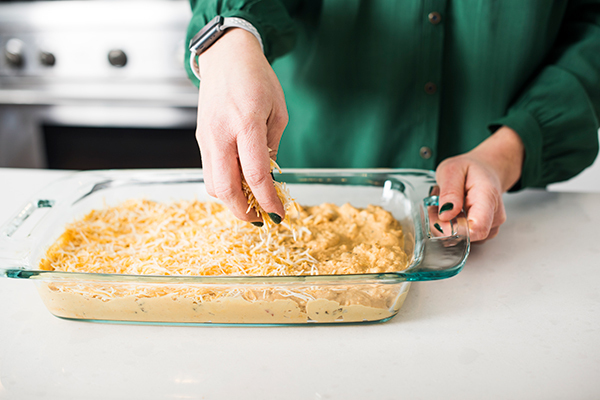 A twist on the popular buffalo cauliflower dip, my version is made with creamy hummus then baked with cheese before being sprinkled with all your favorite toppings. Pre-heat oven to 400 degrees and line a baking sheet with foil. Spray with cooking spray. In a large bowl, toss the cauliflower florets with the olive oil, salt and pepper. Roast until browned, about 20-35 minutes. 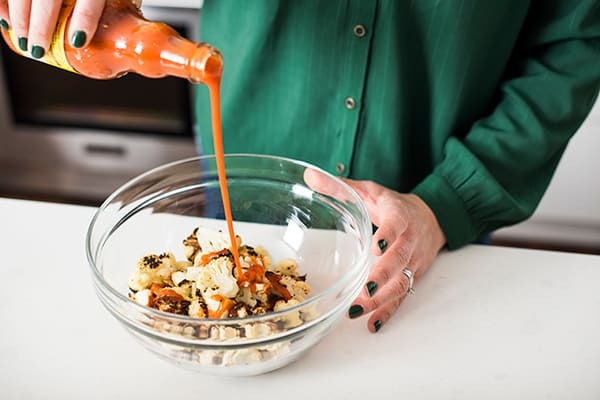 Place roasted cauliflower back in the same large bowl and toss with buffalo hot sauce. Stir in hummus then spread mixture in the bottom of a 9" x 13" baking sheet. 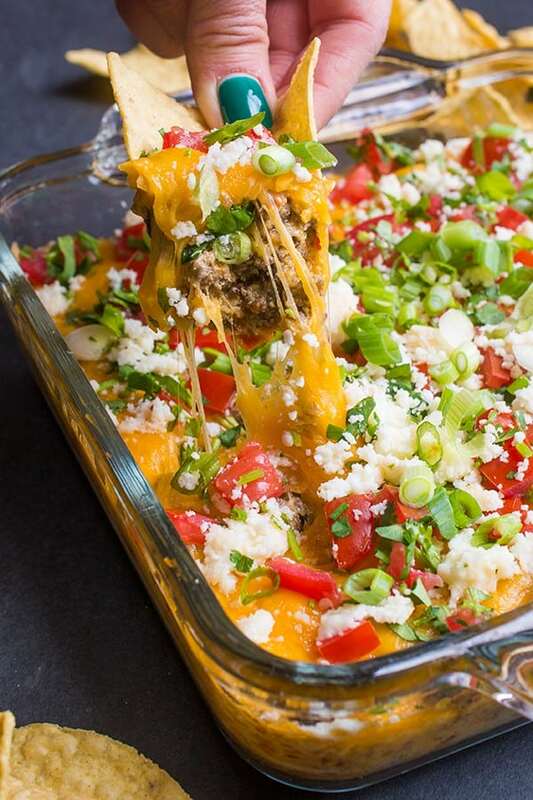 Sprinkle with cheese then bake for 25-30 minutes or until bubbly. 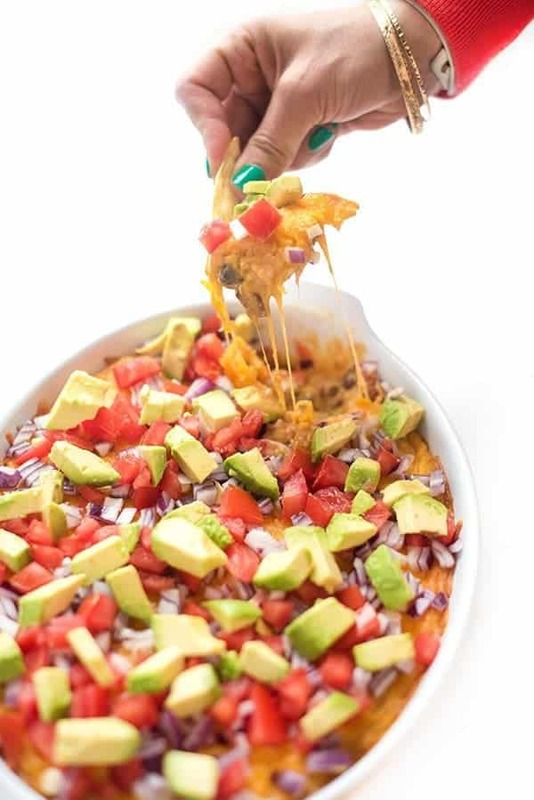 Top with optional garnishes and serve with tortilla chips or veggies. 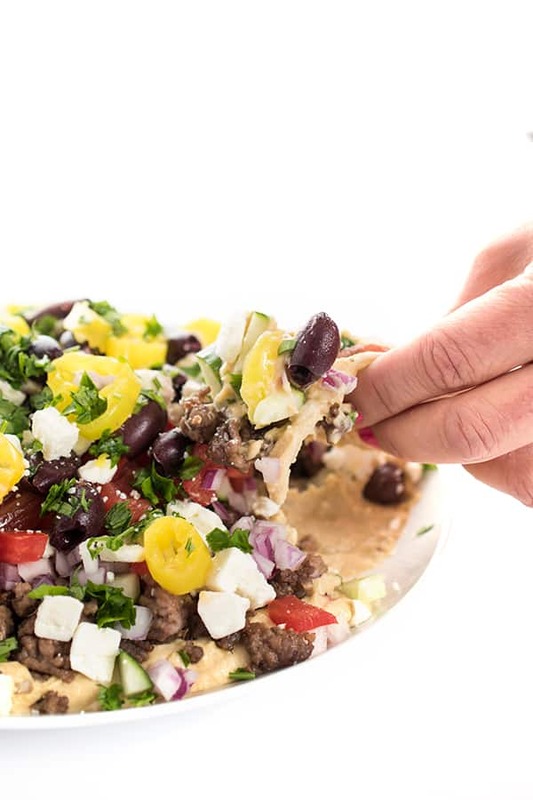 Want more mouth-watering appetizer recipes? Check out my Pinterest board! This is definitely a must-try!! Yasss girl! I love me some buffalo cauliflower! This looks delicious! 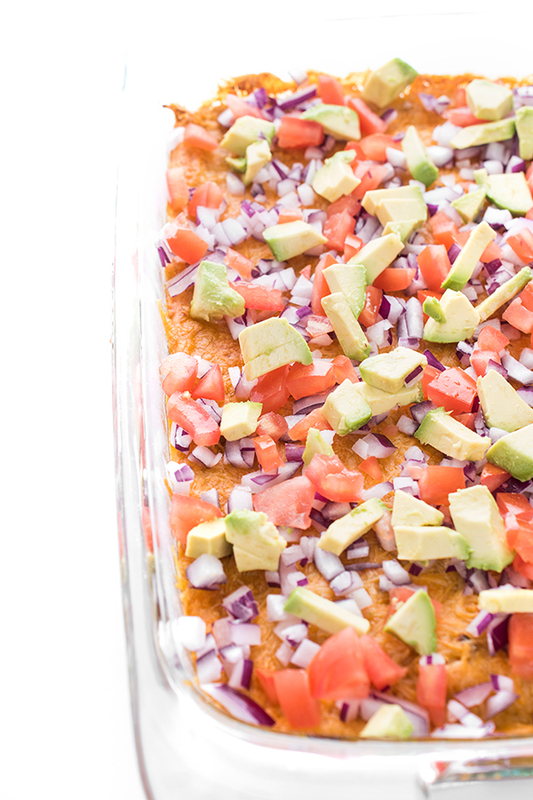 What a fabulous way to healthy up a favorite dip. 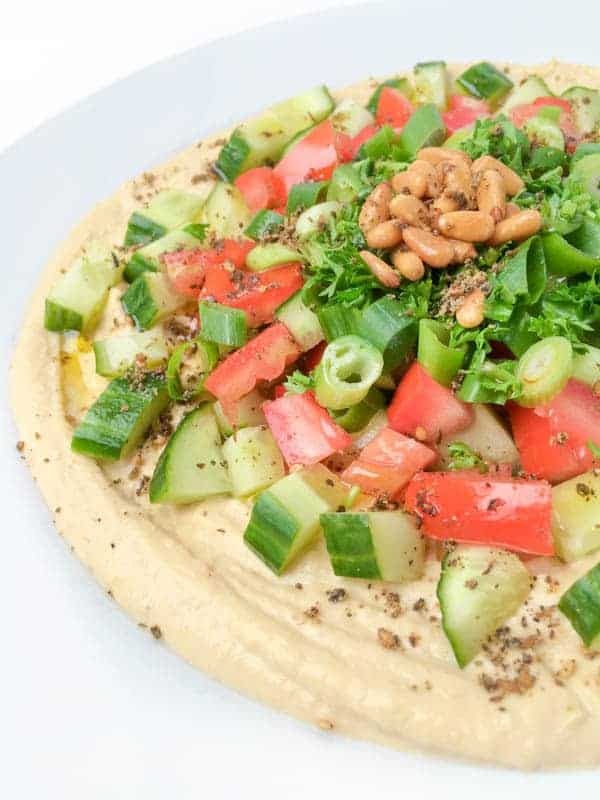 Cauliflower is the most flexible vegetable out there, and this is a great way to use hummus! !